TimeXtender has made some significant changes in the last year that put it in a better position to meet its ambitious growth goals. In 2016, we stated that we saw wisdom in the company’s focus on Qlik resellers to grow its profile and customer count. 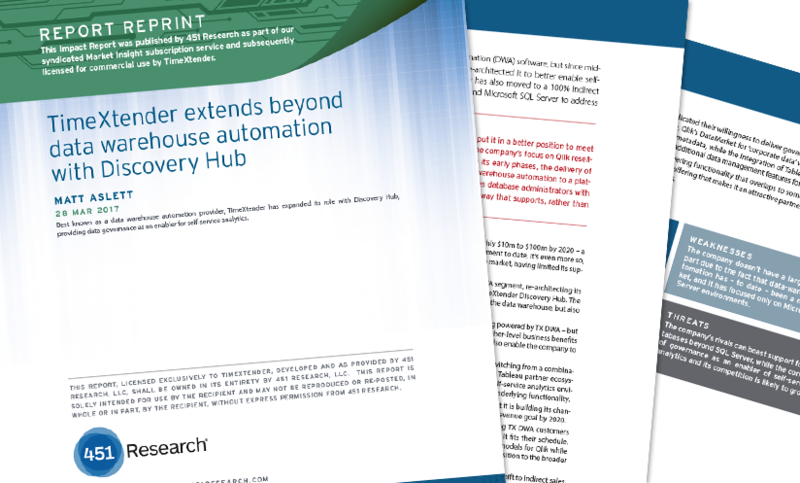 While this strategy is still in its early phases, the delivery of Discovery Hub, which alters the positioning of the company from data warehouse automation to a platform for enabling self-service analytics, is also a shrewd move. It provides database administrators with an environment to create and define data models and govern data in a way that supports, rather than restricts, self-service access by data analysts.